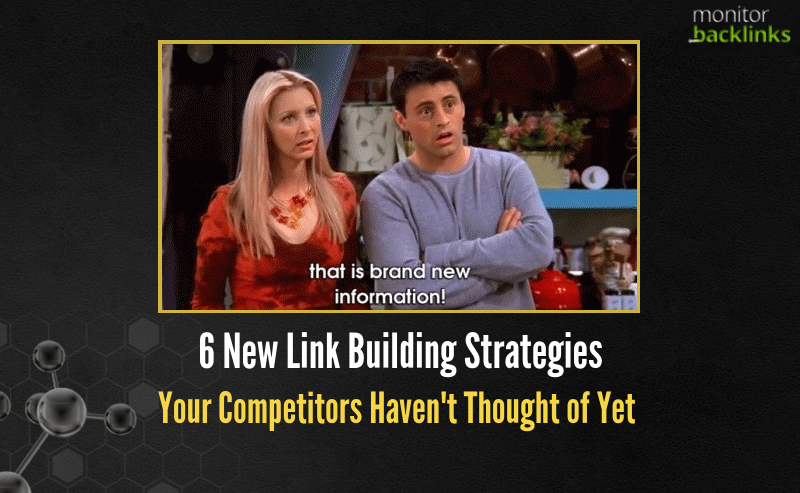 When it comes to link building strategies, you’ve seen and heard it all before. You’ve written dozens of guest posts. You’ve fixed every broken link you can find. You’re even tracking your competitors’ backlinks so you can replicate every link they earn. Don’t let your SEO strategy go stale. Stay one step ahead of your competition with these six fresh new ways to attract high-quality backlinks. Interactive content is a step up from regular content—both in the effort required to create it, and the value it provides. People naturally spend more time reading and sharing high-value content, and interactive content definitely falls into that category. In fact, it can help to not only earn links, but also raise the number of conversions. Interactive content is any type of content that requires the reader’s participation, and that adapts itself automatically based on the actions of the reader. 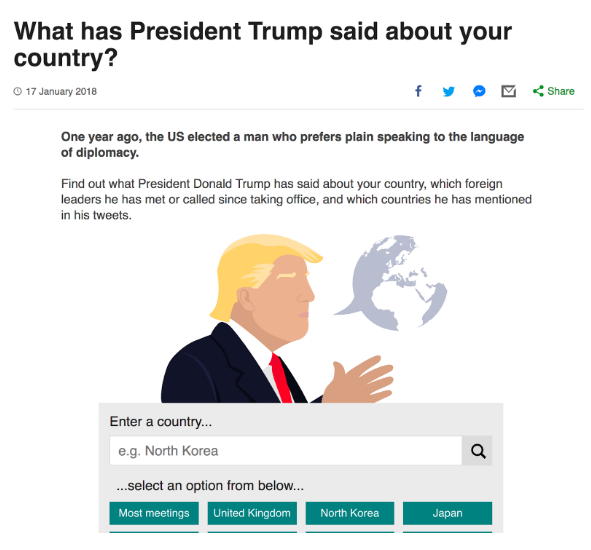 This BBC article is a great example of interactive content. Notice that the information displayed is determined by what the participant chooses. When the reader selects a country, the content that matches with the chosen country is displayed. 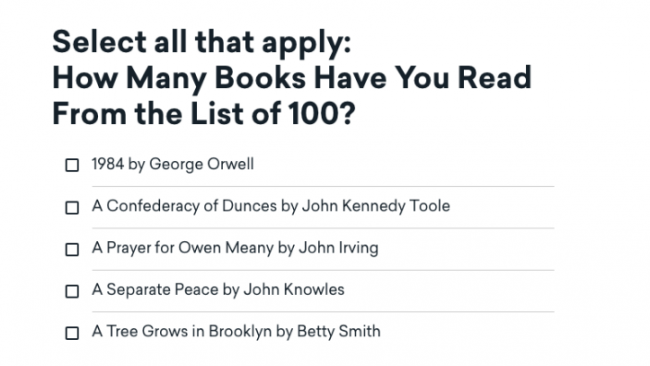 Another great example of interactive content that was able to attain a high number of links is the Great American Read quiz from PBS. This quiz has earned around 3.6K backlinks with 252 referring domains. That’s the power of interactive content! Calculators like myFICO’s Free Credit Scores Estimator. Interactive white papers that inspire people to take action. Check out these great examples of interactive white papers from Instant Magazine. Interactive infographics that combine both creativity and technical expertise. Have a look at some of the best interactive infographics shared by Fractl. Interactive e-books like this one from Oberlo. It allows users to either read the book online or download it. You’ll also be glad to know that interactive content isn’t hard to create, and there are tools available that can help you create any type of interactive content you choose. To start, try Apester to create polls, surveys and video quizzes. Just remember that simply creating interactive content is only the half task done. It’s content marketing, remember—you won’t see good results unless you promote the content as well. Hence, take every opportunity to promote your interactive content on social media and via email outreach. A major percentage of the overall search queries on Google comprises of questions. 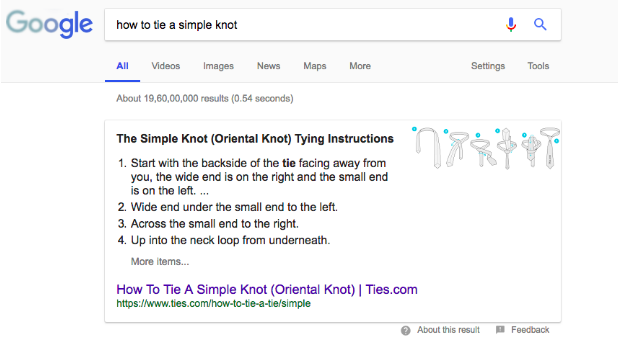 People ask direct questions on Google that can be either transactional or informative in nature, and Google will often display the best result in a direct answer box above the regular search results (also known as a featured snippet). As you can see, the direct answer box displays the complete answer to the question asked by the searcher. This is a great result for Ties.com. Appearing here, above the traditional search results, gives you a much greater chance of earning links because people often link to pages that rank highly. So, if you’re able to rank your website in the direct answer box for a number of question-based search queries, you have a high probability of gaining backlinks. To do that, the key is to create an FAQ page on your site that has all the answers to questions your audience often asks. You can prepare a list of such questions by searching for your industry, niche or product/service offering in Quora. This FAQ hack will help you gain visibility in the search results, which will naturally lead to more backlinks to your site. It involves finding site owners who are using images from your site, and asking them for a link back specifying the source of the image. If you publish infographics and other types of visual content on your site, this is a great way to make sure you get the credit you deserve. Then, choose either “Paste image URL” or “Upload an image,” and select the image that you wish to search. Press Enter and Google will return a list of sites where it finds the image. You can sort through any sites that show up, have used your image, and haven’t credited your website for the use of the image. Then, email the webmaster to link back to your site. 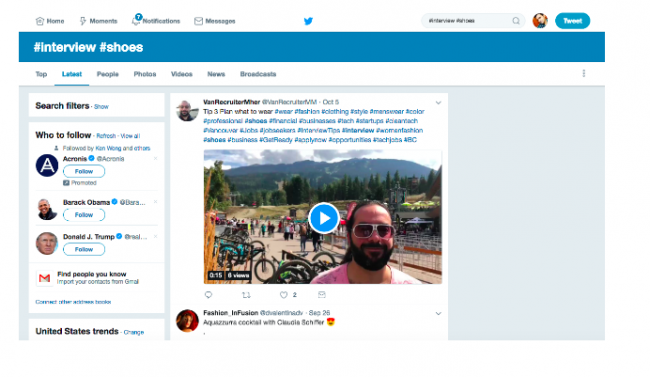 The probability of receiving a link back using this strategy is very high because people are unlikely to refuse attributing the source of the image. Moreover, there are few SEOs who are actually using this strategy (and plenty creating infographics and images on a regular basis), making it a great way to scale up your link building efforts and get ahead of the competition. Offline promotion is equally important to earn good backlinks. Many webmasters often forget this fact and focus all of their attention on earning links online. Participating in trade shows and live events is one of the best ways to promote your business offline and earn a lot of publicity, which is an indirect way of generating backlinks. To do that, start by finding industry trade shows and events that you can participate in and showcase your business. You can use sites like EventsEye and ExpoDataBase to look for events happening in your city. At the event, offer a discount to customers who share a picture of themselves on their social channels using your products or services. When people endorse your brand to their personal network, it’s not only great for your brand awareness, but can also lead to some awesome backlinks as the word about your business spreads. You might also want to consider using a POS system like Shopify to accept offline payments at these events, to make it easy for new customers to purchase. If the buying process is simple and professional, you stand a greater chance of converting a new customer into a returning customer. This ultimately increases your chances of brand loyalty leading to more engagement and links. Make trade shows and industry events a regular part of your link building strategy to grow your brand awareness, build your network and earn links over the long term. People are always looking for content that gives complete information about something. Hence, it makes sense to create comprehensive product buying guides that provide complete information about your products to potential customers. As an example, have a look at how Kohler’s bathroom product buying guides serve as a great source of information for their customers, educating them about the various options for their bathroom space. In a different approach, RevZilla features a series of thorough video guides at the bottom of this product page to help people select the right motorcycle helmet. This page has been able to generate around 5,560 backlinks from 485 referring domains. A great result! These are just two examples of how you can create product guides that serve as a great resource for link bait no matter what industry you’re in. There are plenty of opportunities to get your brand featured in an interview, along with a backlink. You just need to find those opportunities and capitalize on them. The quickest and easiest way to do this is by searching for them on Twitter. Use the hashtags #interview and #yourniche to easily find a list of sites that have published interviews of brands like yours. You can easily find lots of potential interview opportunities in this fashion. Outreach them smartly and get the job done! If you have the budget, you might also consider hiring a PR agency to help you get your brand featured on relevant, top-quality sites. They have good connections with influencers and can take care of all the outreach for you. Made use of these top new link building strategies? Now it’s time for the best part—the results of your work! With Monitor Backlinks, you can easily track all your new backlinks as they appear. See the details of every link pointing to your site including when the link appeared, which page on your site the link is pointing to, the anchor text used and much more. You’ll be able to see at a glance how your link earning campaigns are tracking and whether they’re bringing in new backlinks. And if you don’t like regularly checking dashboards, that’s no problem either. Monitor Backlinks also sends automatic email notifications to let you know of every change! Grab a free trial of Monitor Backlinks for 30 days of unlimited use, and keep track of all the new backlinks rolling in. Joydeep Bhattacharya is the author of the SEO Sandwitch Blog and a regular contributor to publications like SEMrush, Ahrefs, Wired, HubSpot and many others. Joydeep is a digital marketing evangelist and author of SEOsandwitch.com. He has over a decade of experience in online marketing and has helped several brands increase their presence online. He loves playing with data and optimizing digital campaigns to increase ROI.